Current Marvel shows “Agents of S.H.I.E.L.D.” and “Agent Carter” have had mediocre ratings and mixed reviews from critics and fans alike. To counter that, Marvel cooked up a plan with online streaming service Netflix to rival their cinematic formula. As with Iron Man, Hulk, Thor and Captain America, the studio is taking four core characters, building a cohesive world with them and then teaming them up, but a little more far-reaching in scope. Daredevil, Jessica Jones, Luke Cage and Iron Fist will each get thirteen episode seasons before joining forces as the Defenders in a smaller run of episode. And so it now begins. 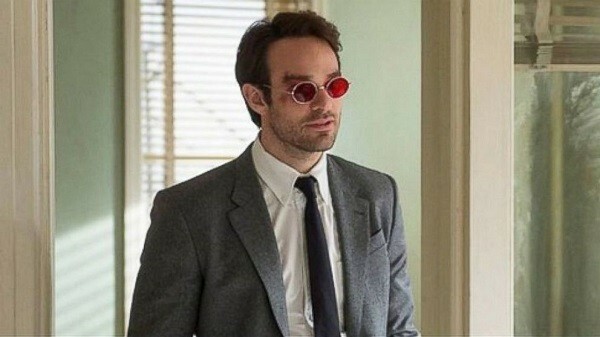 “Daredevil” stars Charlie Cox, whom you may remember from “Stardust” and “The Theory of Everything” as the titular do-gooder, also known as Matt Murdock, attorney at law. 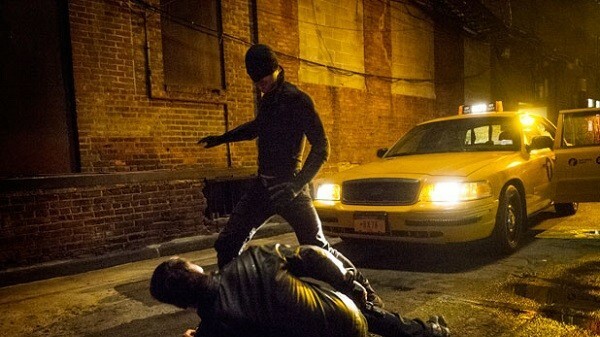 While verbally arguing the letter of the law by day, Murdock uses his fists to get his point across to criminal at night as a black-clad vigilante. He is also completely blind, due to an accident as a child. The nature of his accident robbed him of sight, but heightened all his other senses to an uncanny level. He is able to deliver blind justice both figuratively and literally and seems to have somewhat reconciled his dual personas, at least at first. The series takes place in New York’s Hell’s Kitchen after the destruction wrought upon the city in the first “Avengers” film. As the neighborhood rebuilds, criminal elements take advantage of the situation. 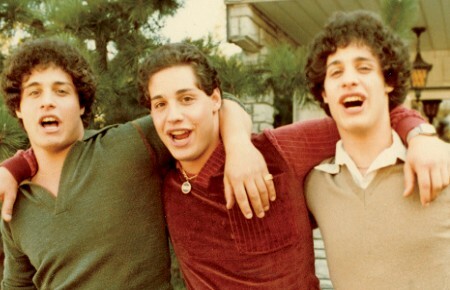 Chief among them is a mysterious new figurehead, Wilson Fisk (Vincent D’Onofrio). 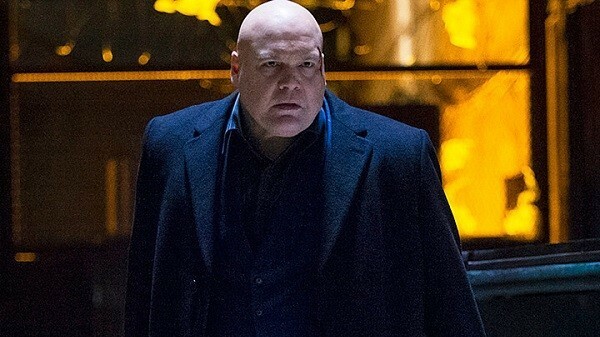 Fisk actually poses a unique counterbalance to Daredevil as each are trying to save and improve their city, just in completely and counterintuitive ways. Both also accrue various allies along the way, Fisk by controlling or absorbing the competition, Murdock by the fact that he attracts those to him that also want to do good. 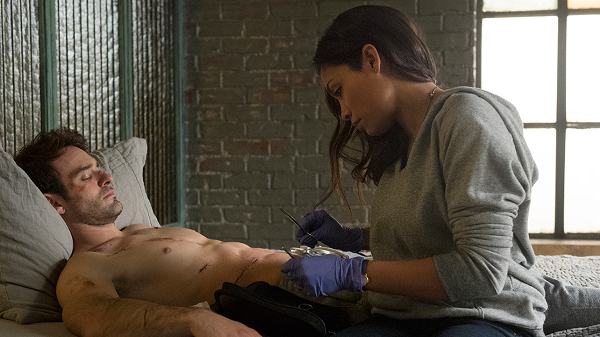 “Daredevil” is presented as much more of a crime thriller than a super-hero show, much in the way that the best stories from its comic book source material were written. While Murdock is genuinely a good man, he is still just a man and both his emotional and physical wounds aren’t so easily healed. There are flashbacks that show us how he became the man he is now and there is even an ongoing bit of Catholic guilt to keep our hero grounded. The fight choreography and cinematography are also well done here and bring something new to the table. And the top-seals the deal with not only Cox and D’Onofrio given stellar turns, but also outstanding performances abound from Elden Henson, Rosario Dawson, Deborah Ann Woll and Vondie Curtis-Hall. 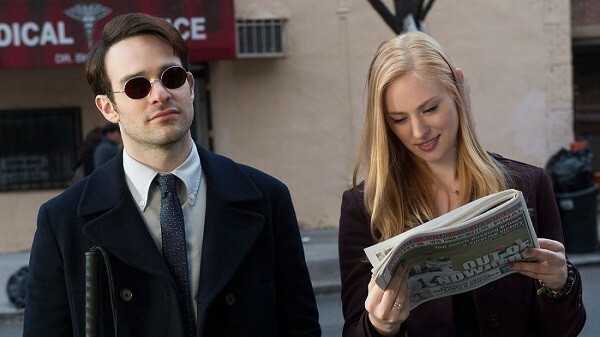 This review is far too short in length to do justice to the many layers and subtleties of “Daredevil” and it would probably reduce your enjoyment if you didn’t discover everything yourself, going in blind, so to speak. Suffice it to say, if all the other Marvel Netflix series can maintain this kind of quality then Marvel may have just captured lightening in a bottle a second time, this time on the smaller screen. While “Agents of S.H.I.E.L.D.” has the feel of being an extension of what has come before, “Daredevil” opens the door to a whole new area of the Marvel Universe unlike any seen before on film or television. Walk on through to the other side and prepare yourself for new, more grounded world of heroes.